Planning to Move Over to Dallas, Texas? Find Out All the Things You Need to Know About! If you are planning to move to Dallas, Texas, you may have been wondering how life there would be so different compared to the life that you have had in your previous area. Whether you are from a different country, or another state, making sure that you have the idea on where to start is very important. How do you move around the city? What is the weather like in this new area? Where is the best place to reside, dine, and shop? Is it possible to drive around town in a motorbike or bicycle? Or is there a need to have an actual car to speed up transportation? We understand this dilemma among many of those who look at Dallas, Texas as a potential new home. As such, we have come up with this summary of information and details that can help you out in understanding the type of life that you can expect to have in this new place. Dallas, Texas is described to have a humid and subtropical climate. This kind of weather is typical to the areas in the Southern Plains of the USA. In particular, the city of Dallas has four distinct seasons. The months of July and August are generally the months that are considered the hottest, with the average low at 76.7 degrees Fahrenheit (25 degrees Celsius), as well as an average high that reaches 96 degrees Fahrenheit (36 degrees Fahrenheit). The coldest month is January, with a recorded average low temperature of 37.3 degrees Fahrenheit (3 degrees Celsius), as well as an average high that reaches of 56.8 degrees Fahrenheit. It is situated at the lower part of the Tornado Alley, which means that it is quite prone to experiencing storms. Both autumn and spring introduces a pleasant weather to the city. The city is home to some vibrant wildflowers blooming in spring. Since they are planted all around Texas highways, they are pleasant to see. While the weather during Spring may be volatile, the temperatures are typically mild. The weather is typically pleasant in between the months of late September gong towards the earlier part of December. Summers are typically hot, as temperatures usually reach similar latitudes to that of desert as well as semi-desert locations. This means that heat waves can turn out to be severe. The entire region receive dry and warm winds coming from the west and north. A few times every year, humid and warm air coming from the south tends to override dry, cold air, often leading to experiencing freezing rain, often resulting to major disruptions within the city. During these times, highways and roads usually become slick and slippery. In general, weather in Dallas is pleasant, and is conducive for tourists. This is also the reason why a lot of people prefer residing in this area. Culture transcends different facets of the life in Dallas, Texas. It can be divided into people’s culture, food, arts, as well as media. Politically speaking, Dallas is often described as right-wing, putting some heavy cultural emphasis on the close ties between history and cultural, tracing back to the influences of the agricultural South and the rugged American West. Most of the residents in the city are predominantly white, though the population has diversified as it further grew in size, as well as importance all throughout the 20th century. In terms of food, Dallas is known for barbecue, Tex-Mex dishes, as well as authentic Mexican food. The area covering the city serves as home to several restaurants that feature cuisines from different places all over the world. In particular, suburbs including Irving, Plano, and others feature specific dishes such as Korean, Indian, African, Vietnamese, and others. Arts in Dallas is predominant, making it the center of the art scene in the region. Certain areas are also known particularly for its local culture and art. The downtown district is field with some venues for arts, some existing, while others are already proposed. Some venues of interest include the Morton H. Meyerson Symphony Center, Dallas Museum of Art, the Nasher Sculpture Center, and The Trammel & Margaret Crow Collection of Asian Art. Media in Dallas is a collaboration of the output of local magazines, newspapers, radio stations as well as television stations that serve the entire area. Among the major news outlets include the The Dallas Morning News, the Dallas Times Herald, as well as Al Dia, which is a Spanish-language paper. The city of Dallas is being served by several radio stations. Due to the location of the city, as well as the absence of mountainous terrain, several antennae located in the city broadcast to other areas, even reaching as far as North Dakota. As such, they even serve as emergency broadcasters whenever the broadcasting of other major metropolitan areas are down. The overall cost of living in Dallas, Texas is 6% below the national average. When compared to the cost of living in the entire state of Texas, it comes with an 11% rate below national average. Housing is the category that comes with the highest index, which is at 10% above national average. Taxes comes at a 29% below national average, which also serves as the category with lowest index. With these rates, the annual cost expected for a single adult living in Dallas, and someone without any children, the expected cost can reach up to and average of $27, 617. At this range, married couples with one child can expect to spend about $53, 910 every year, while those with four children can expect an amount of $77, 541 as their cost of living expenses. Dallas is usually considered as one of the biggest cities in the U.S for business. This translates to about 80 percent of the companies in Dallas being smaller businesses. This means that it should be understood Dallas is not all about giants. The Dallas metro area even grew faster compared to any regions within the country for the last year. As a matter of fact, the city is home to one of the Inc. 500’s fastest growing companies in 2010, Ambit Energy. The city of Dallas is interconnected with the rest of the world via some interstate runways and highways, and the famous Dallas-Fort Worth International Airport, often considered as the third-busiest airports of the world. The presence of airports together with a solid highway system, as well as an International Port of Entry located in Houston, further provides for the logistics of supply chains. Entrepreneurs also like the idea that there are no state or local income tax, which means that they can expect better profitability for their businesses. 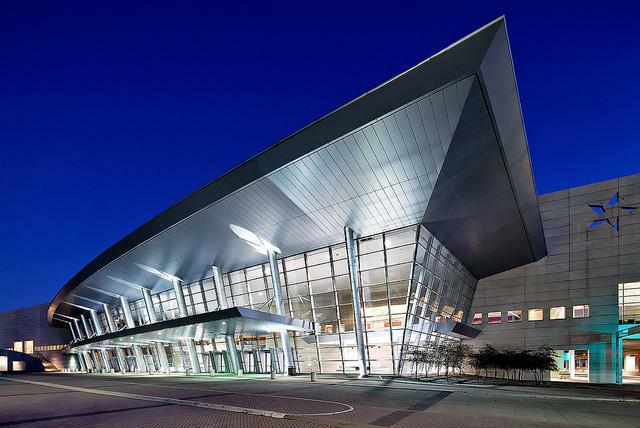 Dallas is also considered as a conference hub, with several spaces and areas for convention. This is one reason why visitors love to stick around. It is filled with cultural attractions, paving way to tourism in the area. If you are planning to start a business in Dallas, the most important thing that needs to be taken into consideration is finding an ideal location. Even though downtown Dallas is considered as the primary business district of the area, storefronts and industry offices are spread all throughout the entire city, such as specific locations including the Uptown Village, Preston Center, and the Koreatown. Downtown Dallas is witness to several redevelopments. As such, it has also further assisted some distinct neighborhoods, including the Arts District and the West End. These locations have helped them attain their own reputation. Nearby neighborhoods that are being developed in order to enhance economic opportunity, as well as conditions via collaboration, as well as partnerships between local public and private sectors. One upcoming area for further business development is the Design District. Since 2009, urban and residential facilities have been seen appearing in the area, making it a possible customer base for smaller businesses. With more business opportunities opening up, employment rates also go high in this region. Dallas, Texas serves as home to several areas, communities and neighborhoods. The city may be divided into various geographical areas, including macro neighborhoods, such as bigger geographical areas in the territory, including several subdivisions. Uptown Dallas is immediately located north of the downtown area, as well as the West part of the North Central Expressway. This neighborhood is often considered as fashionable, and filled with young professionals, as well as empty-nesters who are searching for some great urban living. This neighborhood is often the go-to place for young professionals who are searching for greener pastures within the state. Preston Hollow is considered as among the most elite neighborhoods in the state. It is situated in North Dallas, within the LBJ/I-635 loop. This neighborhood reaches north from the Northwest Highway to the Royal Lane, as well as east from the Inwood Road going to the Hillcrest Road, providing easy access to the loop, as well as the Dallas North Tollway. M Streets is lined up with tree-lined and leafy streets, as well as nice homes that date as far back as the earlier parts of the 1920s. Down to this day, this neighborhood is still popular among young families and couples who are interested in living near the downtown area, as well as nearby White Rock Lake. The homes in this area have higher gabled roofs, masonry chimneys and interesting stonework. The lake Highlands is situated north of the Northwest Highway, and at the same time east of the North Central Expressway. This is also considered as among the most popular neighborhoods for young professionals and families who are aiming for a Dallas address. This neighborhood is also quite attractive because of its easy access to the job centers and the downtown areas, especially in Plano and Richardson. Richardson is a first-ring and older suburb. It is charmed with its affordability and diversity. It is situated between the suburb of Plano and Dallas. This neighborhood is filled with a healthier base of employers pulling from the labor resources of the country. This is the best neighborhood for couples and families as it offers a wide range of price points in terms of living facilities. One specific location in the area that is popular is the Canyon Creek, distinguished because of its walking trails and winding roads, together with the lush greenbelt lining both Canyon and Prairie creeks. Dallas is also home to 336 parks, with a parkland covering an entire area of 50,000 acres. Residents in Dallas have easy access to about 50 reservoirs, as well as a number of lakes for swimming, fishing, boating and sailing. There is also a total of 805 kilometers or 500 miles total of bike trails in bike lines and parks all over the city streets. Dallas is often described as a city having a more per capital in retail space as compared to other cities within the USA. This is backed up by the presence of more than 600 shopping facilities in the area. The most popular store in the city is downtown Neiman-Marcus, which is located on the main Street. Another major shopping mall is the Dallas Galleria, with over 160 stores inside. In the Western part, you can find a rendezvous of specialty shops. It used to be a cracker factory which was then converted as a Marketplace. North to it is the Quadrangle, which is a group of high-end, upscale shops. Coit Road, on the other hand, serves as home to some antique shops and art galleries. If you want to buy fresh goods, you can simply go to the Farmers Market which is situated at 1010 South Pearl Street. Dallas is also made famous because of its cotton products, particularly the ones used for women’s clothing. Dresses, for example, are available for purchase at bargain prices in certain area stores. The city is also currently becoming a high-tech hub, with the Infomart Complex serving as showrooms and offices for several high-tech information businesses and companies. Dallas is home to more than 40 public school districts. It also has over 250 parochial and private schools within the city. For example, the Dallas Independent School District is ranked as the 10th largest educational district in the country, with about 220 schools serving about 160,000 students. The district also caters to two secondary schools offering special education, ten magnet high schools, as well as five secondary alternative schools. History shows that it was only until the 1880s when the schools in Dallas were all private. In 1877, the voters have turned down a certain proposal for the taxes to be levied just to establish a public school system. It was only until 1881 when the levy was finally passed. In 1884, the first public schools were opened. Dallas, including the nearby communities, also serve as home to different colleges and universities, about 45 in them, attracting over 250,000 universities every year. These universities are both public and private, giving attention to the educational needs of the students. The city is known for its volume of enrollees for community college. The community colleges, in particular, enroll about 100,000 students in every semester. Dallas is home to dependable health care facilities. In the city alone, there are 37 general hospitals, with the major ones including the Methodist Medical Center, Baylor University Medical Center, as well as the St. Paul Medical Center. Other services include the Parkland Health and Hospital System, providing a network if health centers in the neighborhood. The website of LocalSource Dallas also offers free referrals to the doctors within the area. Aside from actual health system facilities, residents of the city also have access to alternatives to Western medicine. The city is also home to holistic healers, acupuncturists, as well as massage therapists. Dallas serves as home to a number of organizations in the field of performing arts. Several plays are staged mostly at the Dallas Theater Center, which is located in a building which was designed by none other than the famous Frank Lloyd Wright. There is a regular performance of two symphonies in the area, namely, the Dallas Symphony Orchestra, as well as the Mesquite Symphony Orchestra. To cater to the art preferences of the residents in the city, several festivals are available, including ballet, summer musicals, Shakespeare festival, African-American dance theater, and several other community theater performances. East of downtown Dallas is the Deep Ellum neighborhood. It is a renovated warehouse area which used to be the center of the African-American community in the city back in the early 1900s. Around the 1920s and 1930s, some famous blues musicians performed in area clubs. The best times to visit Dallas is during the muggy, hot summers, as well as the rainy, cool winters. Dallas is home to several restaurants. As a matter of fact, the restaurant industry in the city is four times more per capita than that of New York City. Among the local cuisines include Tex-Mex, southwestern, as well as Texas-style steakhouses. There is also a restaurant that can fit your needs, tastes, preferences and budget. They vary from cheap and affordable options to four-star diners. Among the popular dining destinations in the city include the Uptown, Restaurant Row, as well as the West End. Dallas also serves as one of the primary night spots in the state. Every night, more than 100 musical performances are seen within the city. Even though the musical varies from rock and alternative to jazz and blues, tourists are still attracted to the several western and country bars that are located within the city. 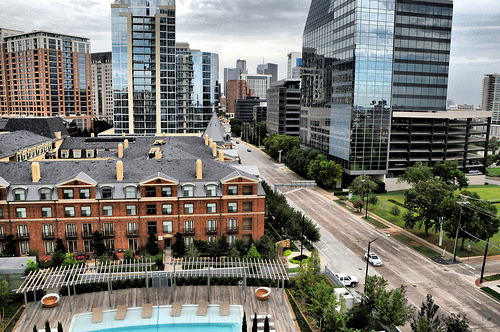 There are also a number of fine hotels in downtown Dallas. However, it is worthy to note that in these places, the prices can go up. If you visit Dallas on a budget, there are several more affordable alternatives in lodging outside the city limits. Dallas is considered as the 30th in the city in terms of being the “most walkable”. This is evident in the presence of several pedestrian friendly areas within the city, which are located in the downtown, as well as the Uptown area. Most of Dallas was completely reworked and rebuilt in order to accommodate vehicles. Dallas is absent of most major street grids, even though most attempts were aimed at intersecting awkward angles, as well as the city’s confusing interchanges. 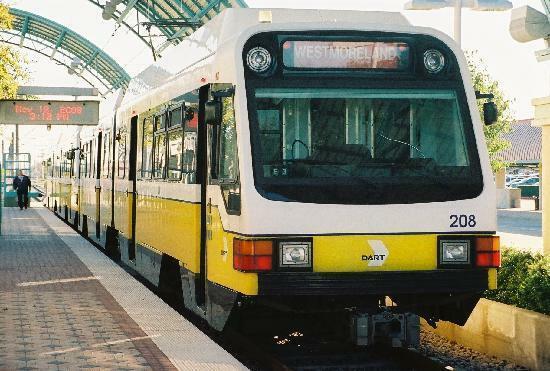 The mass transportation is served by the Dallas Area Rapid Transit (DART), which is the transportation authority, offering bus and rail service. It started operating its first light rail system in 1996, continuing to expand its coverage. DART utilizes Google Maps as the primary hub of transportation directions. Another independent, private company, Dadnab, provides a service allowing riders to get similar information through the use of similar data through text messaging through mobile phones. The company started downloading route schedules into Google, creating newer trip planners online. There are also some intercity buses operating within the city. For example, Greyhound Lines operates within most of the inter-city services entering and out of Dallas. Megabus also operates some low-cost double-decker coaches coming from Dallas going to major cities in both Arkansas and Texas. On the other hand, Shofur operates services within Dallas, going to most major cities within Texas. The city of Dallas is being served currently by two airports, the DFW (Dallas/Fort Worth International Airport), as well as the Dallas Love Field. On top of that, Dallas Executive Airport, which is formerly known as the Redbird Airport, is considered as a general aviation airport which is situated within the limits of the city. There are several other aviation airports that are located within the city. With the media heavily focusing on other cities such as Florida and California, there is very little attention given to the markets which are continuing to grow and thriving. With this said, it can be considered that the city of Dallas is poised for relative and considerable growth. Most of the cities in Texas, including Dallas, were included in the recession proof cities recorded by Forbes. Also, the unemployment rates for all of these cities have also fallen all over the state, which also translates to job growth increasing. Other factors that influence the real estate economy of Dallas include the fact that Dallas is currently running ahead of the USA economy. The rate of employment increases steadily, continuing low underemployment, population growth and personal income growth. All of these translates to the fact that the real estate market in Dallas is still strong, relatively. Both the national, and the state median home price charts show that Texas, Dallas, included, as the most affordable in the US. In fact, the state is considered as a housing bargain. This is evident with the gap between the Texas and the US median price widening from about 25% up to 33%. These indicators only show that the Dallas real estate market is very promising. In fact, it is facing a so-called ‘boom’. This further translates to the possibility of having affordable, low-cost labor, migration into the state, pro-growth attitude, enticing retirement locations, and affordability on housing, land, as well as the entirety of the state’s cost of living. Is Moving in to Dallas Worth It? Are you planning to move to Dallas soon? One of the possible questions that you might be asking yourself is: “Is it worth it?” What you may see at this point is a booming economy, lower unemployment rate, and other infographic data. However, are all these indicators enough for you to make a decision when it comes to moving to Dallas? There are some reasons why you may want to move to Dallas. For one, there is no need to worry about state income tax. This means more money for savings when you work and stay in the Dallas area. This is made possible by the fact that there is no state income tax to be expected at the end of the pay month. This is commendable compared to that in the other states, which further results to the increase of popularity for selecting jobs within the area. Dallas is also known for its thriving business industry. This is because some of the big names in the industry are present in this area, including companies such as Liberty Mutual, Toyota, 7-Eleven, as well as the relocation of branches and headquarters in the Dallas area. This means that there is enough opportunity for newer employment in both economy and business. Education is also a huge attraction in the area. This is good news for families, as there are about 40 school districts in the area, ranging in different sizes. As a bonus for these families, there is fandom and frenzy introduced by the football season in the area. Even though there are people in the area who are not sports fans, the active spirit that usually spikes the city up during the latter part of July is incomparable to others. Also, the transportation facility within the city is at its best. The DART is fun, and considered as among the best ways in getting around for any reasons. It serves about 700 square miles within the vicinity. Even those who do not have their own cars and vehicles will still be able to benefit from this public transportation system offered by the government. The climate in North Texas is also enticing and attractive. Even though the entirety of Texas is known for its heat index, the reality is that Dallas experiences all four seasons, despite the fact that all of these seasons happen in the very same week. This attractive climate offers itself to a wide range of interesting and fun activities, for both indoors and outdoors, within the city, as well as out in the nature all year round. As an added bonus, the skyline of Texas offers a relaxing feature. As a matter of fact, the Dallas skyline is voted first place in the 2016 Reader’s choice of USA Today contest in terms of the Best International Skyline. For some people, this is one of the best reasons to move into the Dallas area. Combined with its colorful buildings and the iconic Reunion Tower, this simply breathtaking skyline may easily be seen from several miles away in different directions. Another bonus is the brisket barbecue. While the South may serve as home to its BBQ, Dallas is known for its outright dedication to the preparation of the best and real barbecue meals, that is, brisket barbecue. Of course, you can still expect to see your favorite slow-smoked pork within the area, though the right of the beef and brisket is still considered as among the most favored among several barbecue restaurants. Locals in Dallas, Texas know for a fact that they are blessed with a city that is thriving, in all aspects. In terms of accommodation and living facilities, Dallas offers several affordable amenities. This holds true to the presence of educational facilities, and other business entities. With the influx of people gathering in the area, there is an evident increase in other business opportunities, which also translates to the possibility of more employment, not just for the currently existing residents in the city, but also for those who are planning to move and transfer in Dallas. Overall, Dallas is a very welcoming city.